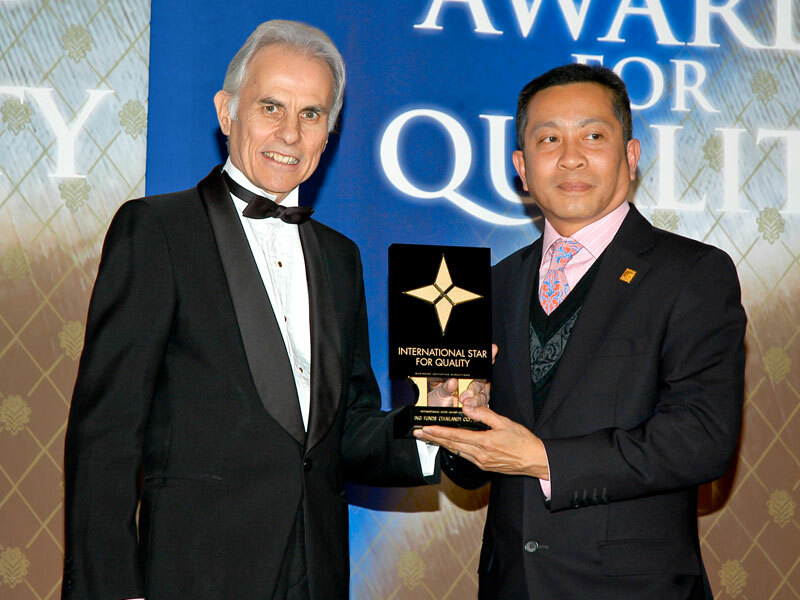 In recognition of ING Group’s outstanding contributions to the business and philanthropic community, Maris Tarab, Managing Director of ING Funds (Thailand) Co Ltd received the 2007 BID Quality Award from Jose E. Prieto, President and CEO of BID, in Geneva. As a mega global financial institution, ING Group based in Amsterdam, aims not only to set the standard in helping people manage their financial future, but also to embrace the obligation and opportunity to contribute to the international community. ING’s undisputed business success is apparent in its rankings as #17 on the Fortune 500 list and #39 on the Forbes Global 2000, with over 409 billion USD under management; 4.7 billion USD net profit, and nearly 100,000 employees in more than 40 countries.